Bicycles are more vulnerable road users than motorists. A small mistake by a motorist can result in serious injury or death to a cyclist. 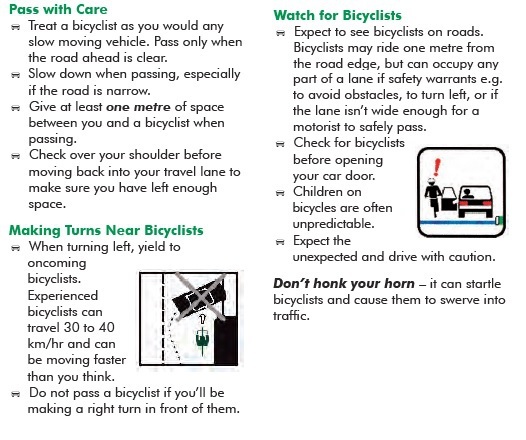 Respect bicyclists as legal road users; drive courteously. Remember: Leave at least 1 metre of space when passing a cyclist.